Gov Akinwunmi Ambode of Lagos has refuted claims that he is backing out from a second tenure. Governor Akinwunmi Ambode of Lagos State is still in the 2019 governorship race contrary to reports on social media that he has withdrawn. Reports had emerged on social media that Ambode had stepped down from the 2019 gubernatorial race and endorsed Babajide Sanwo-Olu. The report suggested that Ambode, after due considerations and consultations, had decided to suspend his campaign for second term. 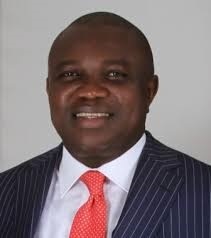 But Ambode, in a statement issued on his behalf by his Chief Press Secretary, Habib Aruna said the report was the handiwork of persons bent on heating up the polity in the State and creating unnecessary confusion and tension within the All Progressives Congress (APC). He added that the tremendous strides and infrastructural development embarked upon by Ambode will be completed by him within the constitutional stipulated time. The statement reads, “My attention has been drawn to a falsehood spreading across social media platforms on the endorsement of a candidate for the Lagos State Governorship position by His Excellency, Governor Akinwunmi Ambode.